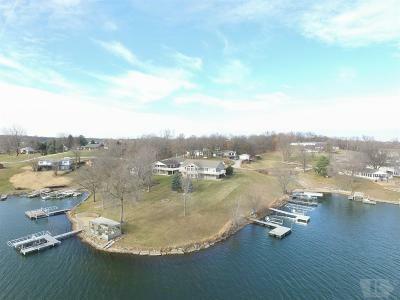 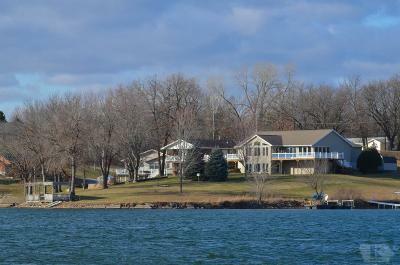 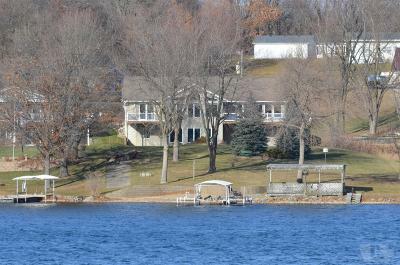 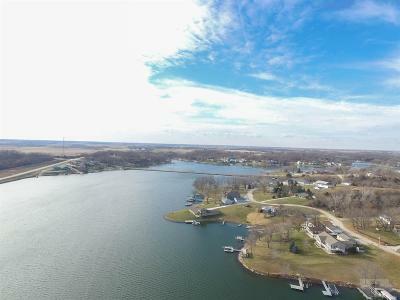 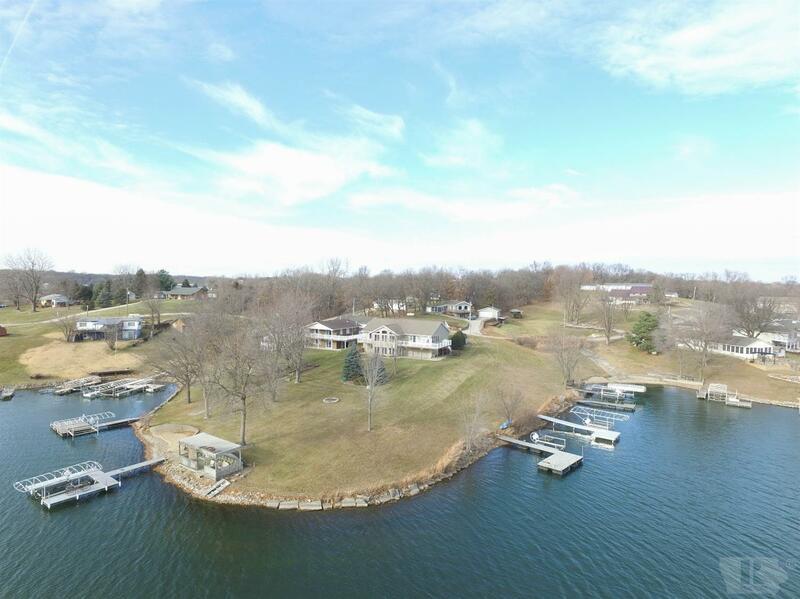 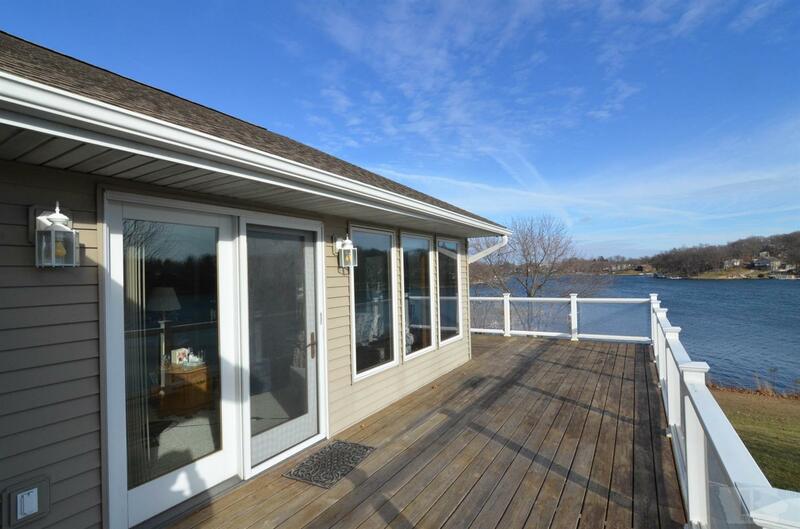 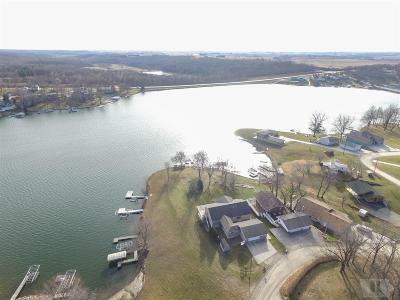 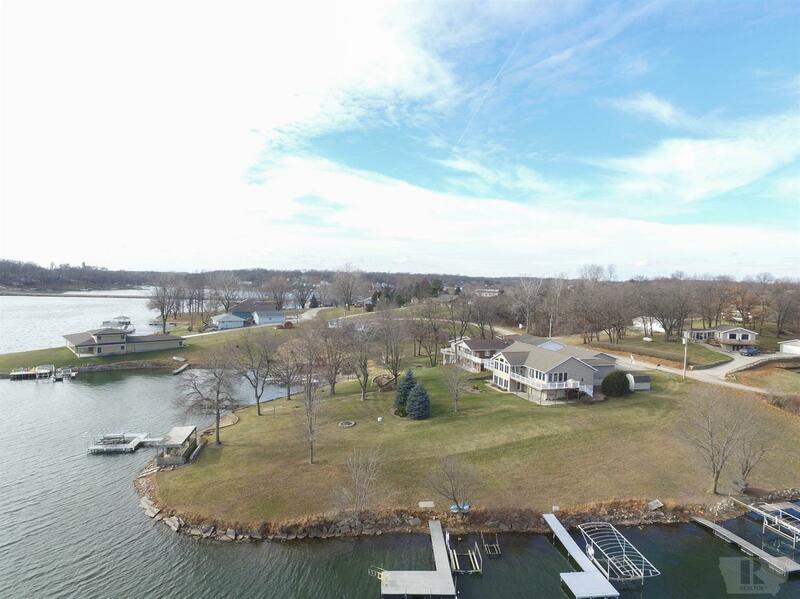 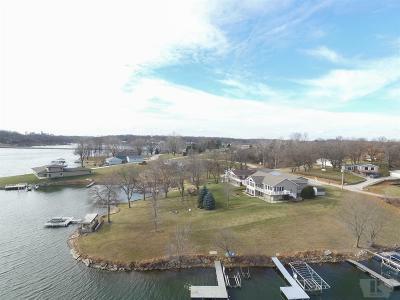 Immaculate lake front home on main lake with views of the east lake all the way over to the causeway. 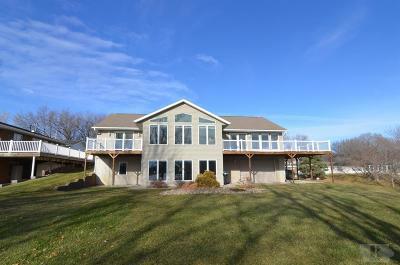 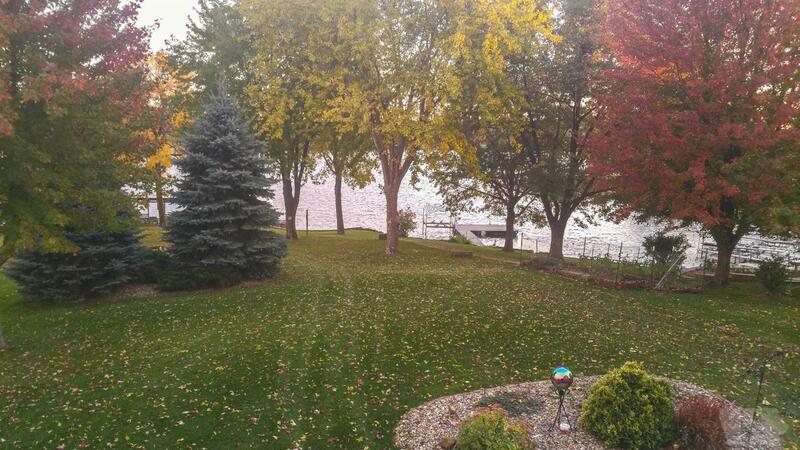 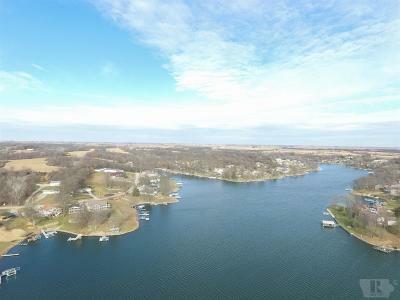 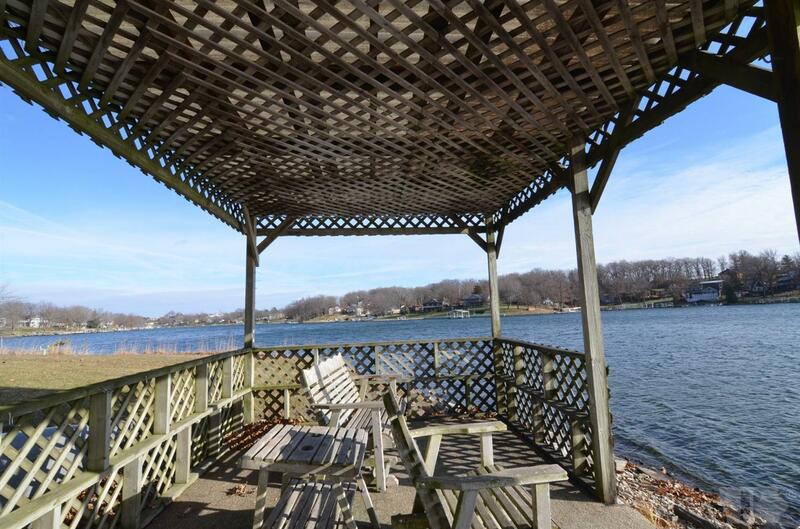 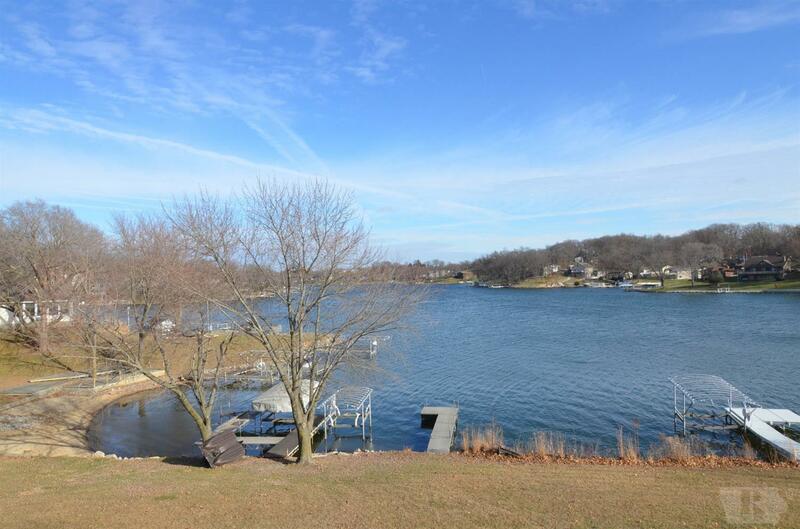 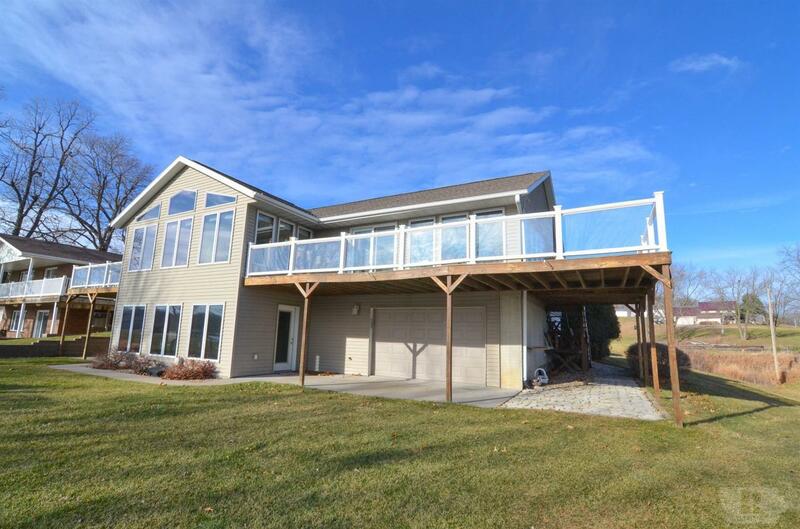 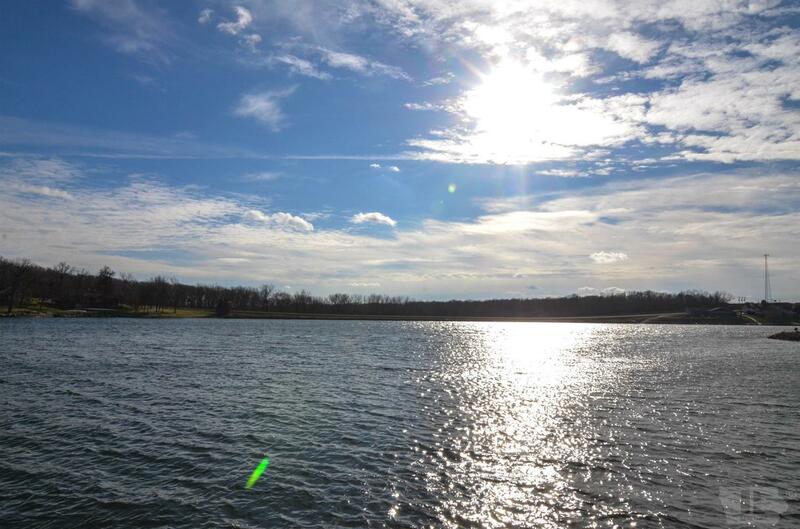 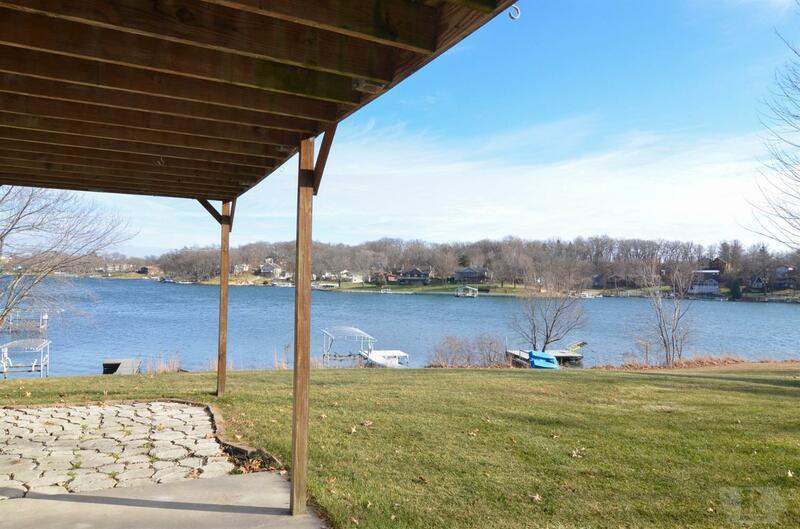 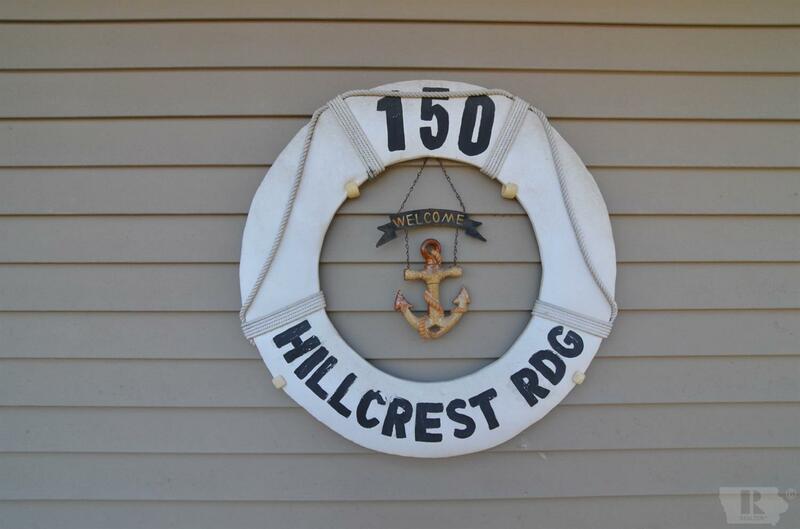 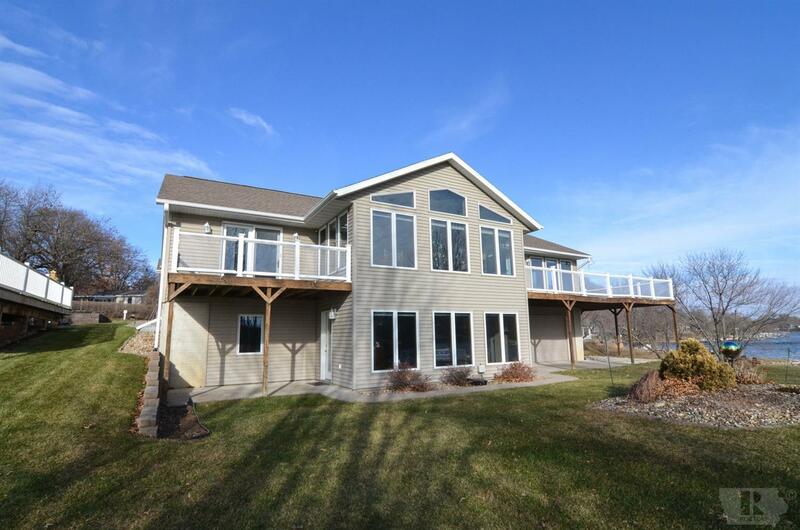 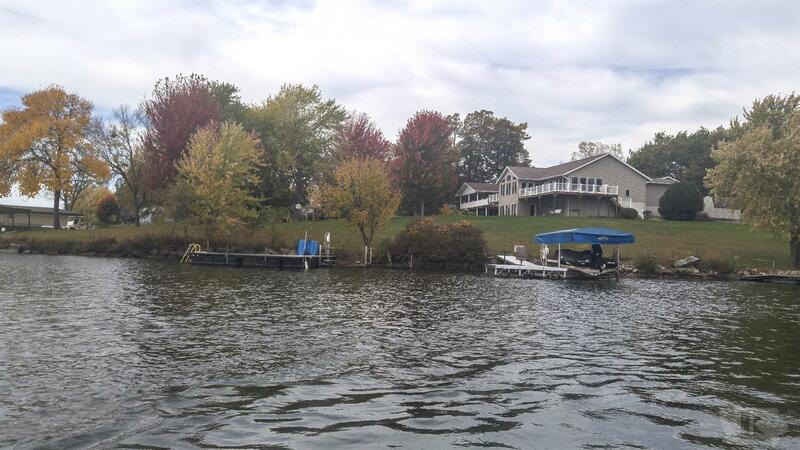 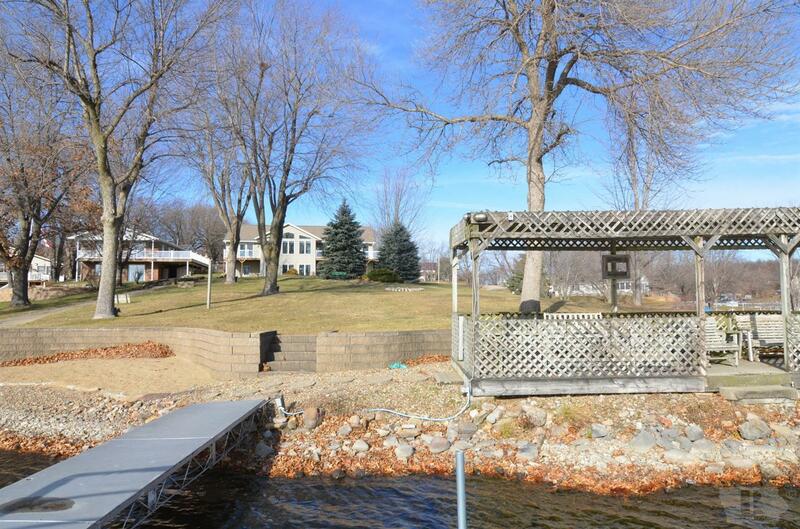 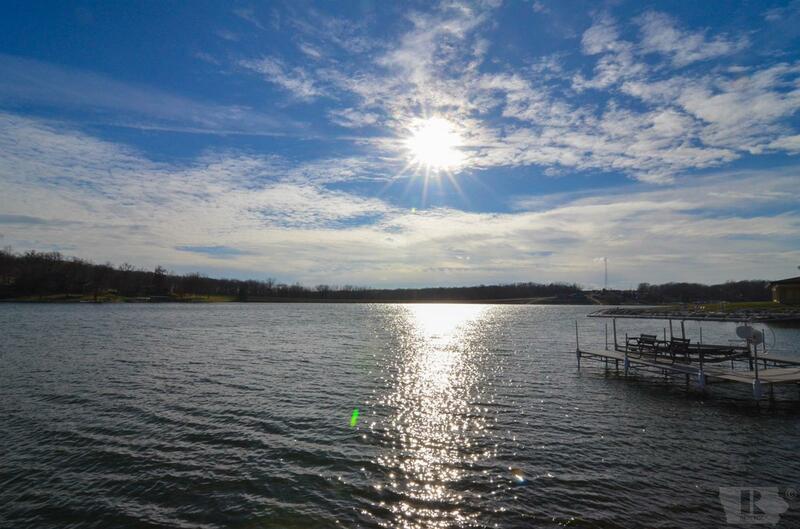 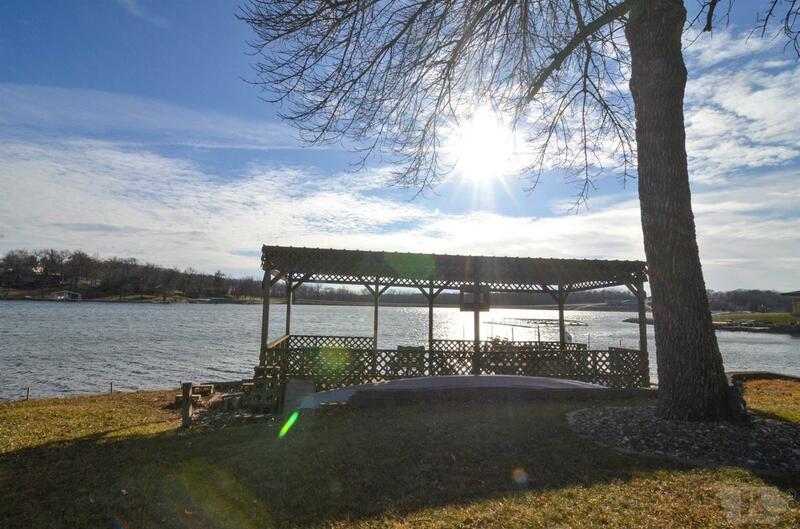 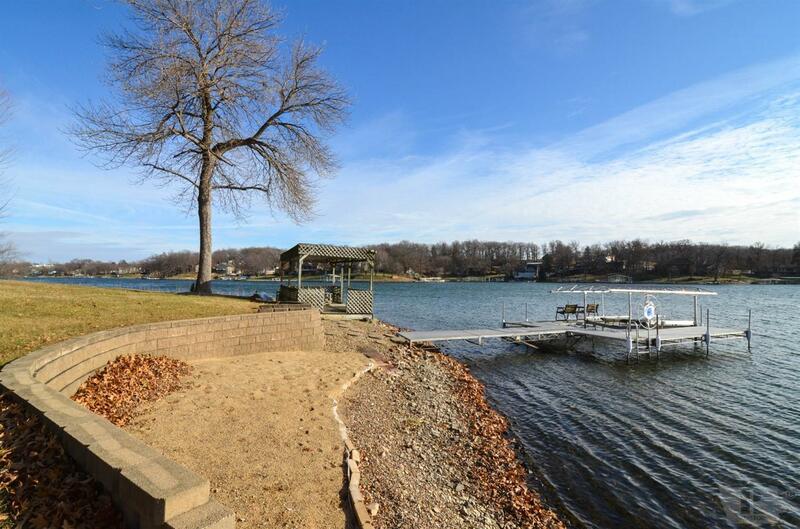 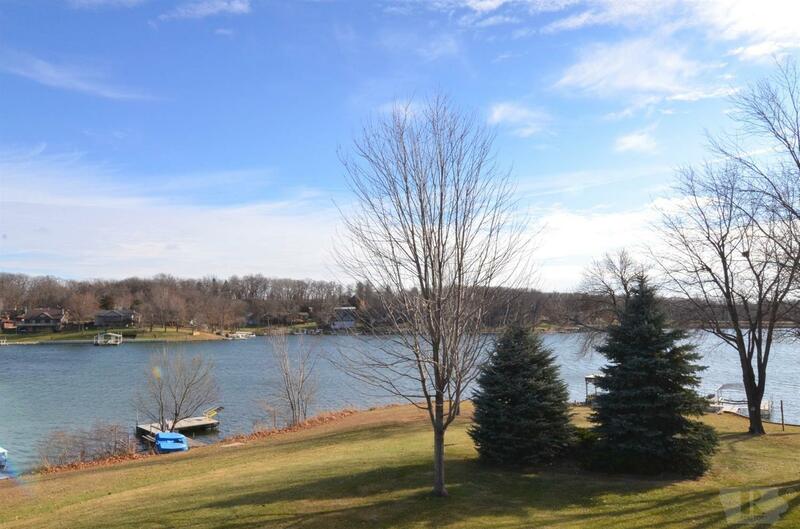 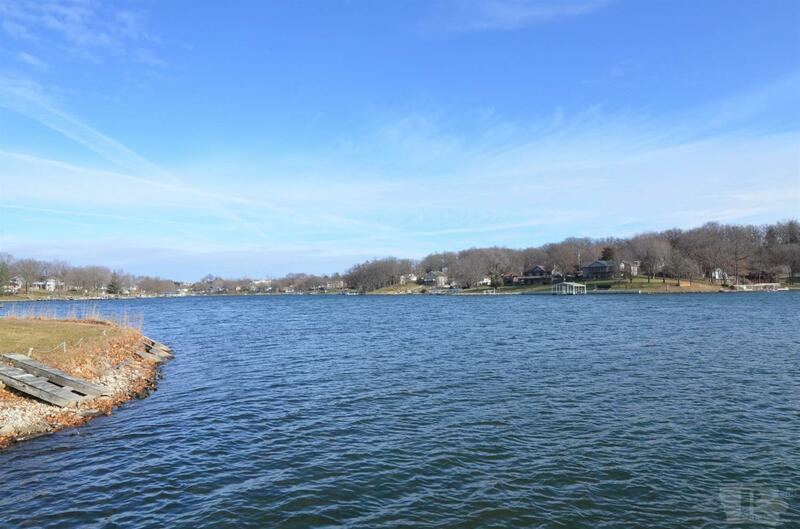 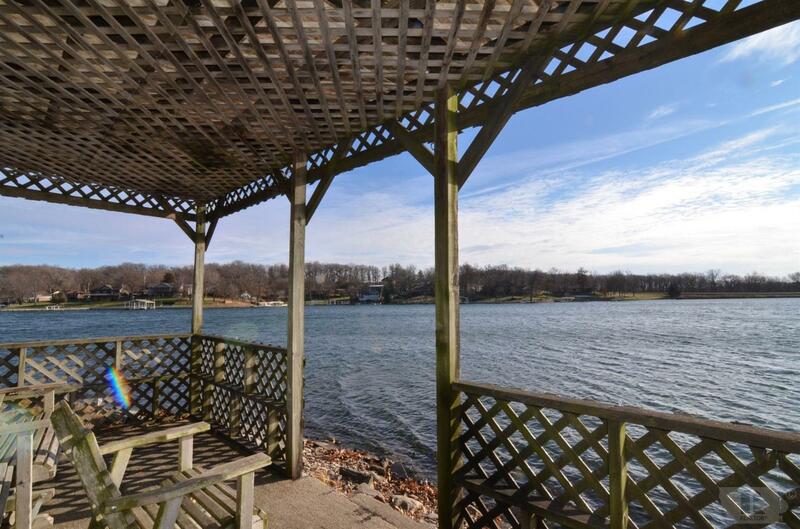 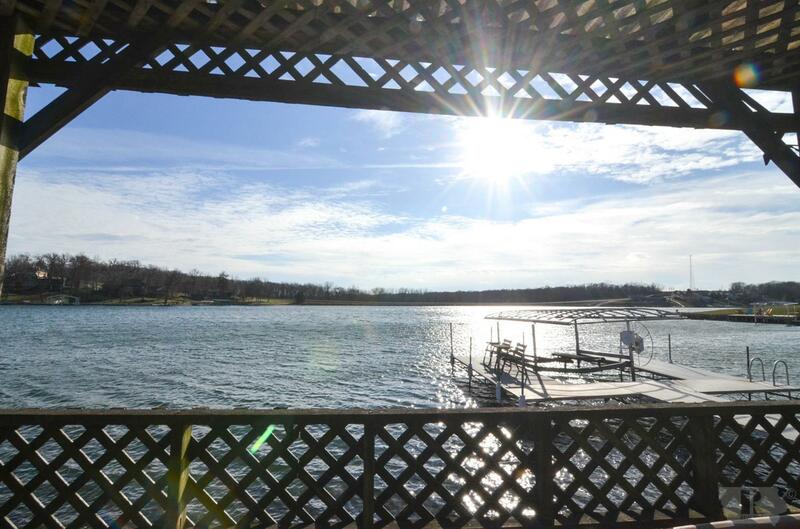 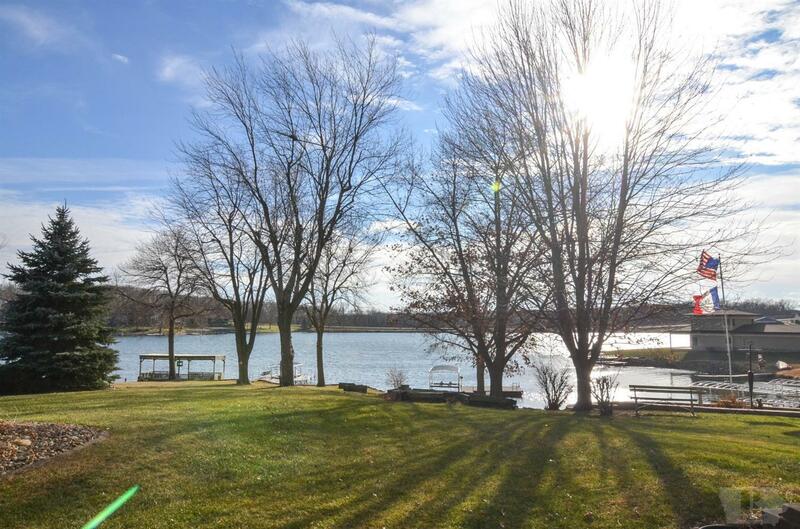 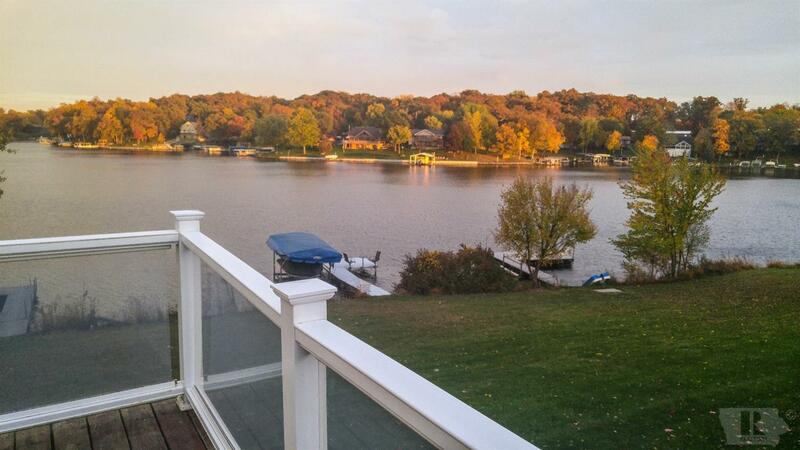 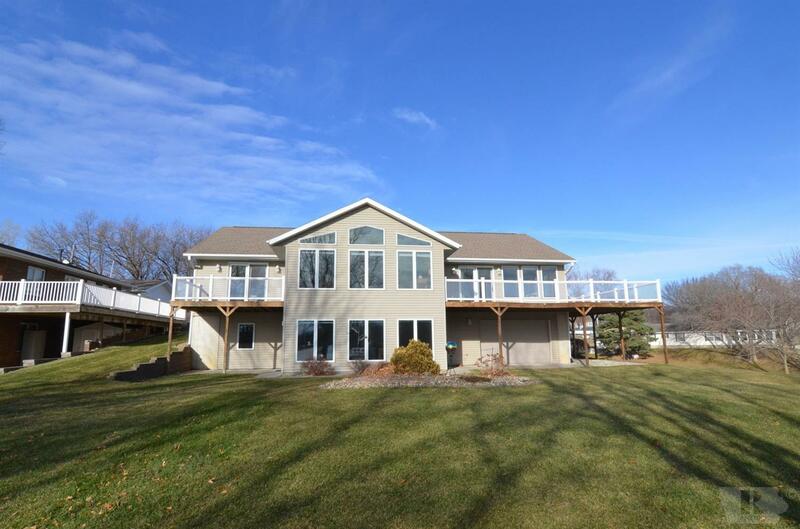 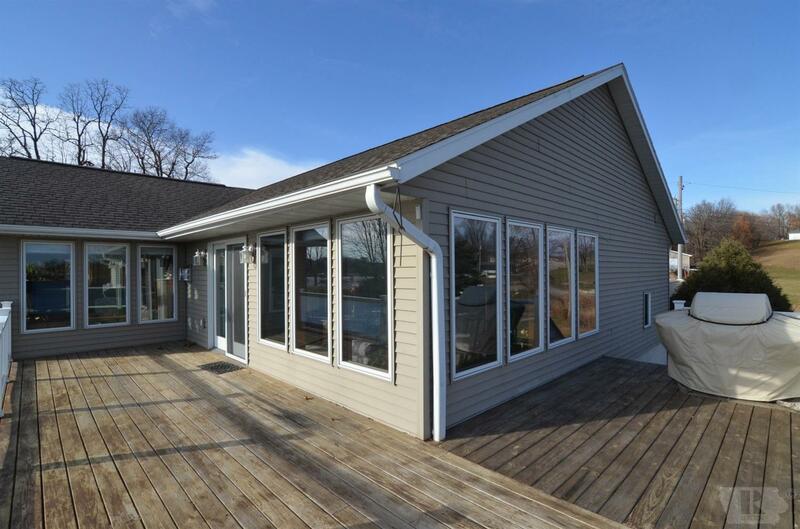 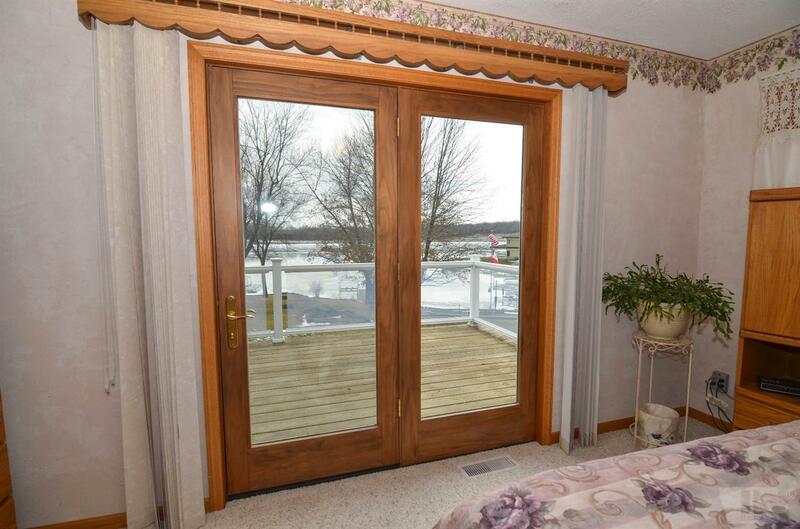 Over 91' of prime lake shore with beach, deck, dock, and lift to enjoy Lake Ponderosa. 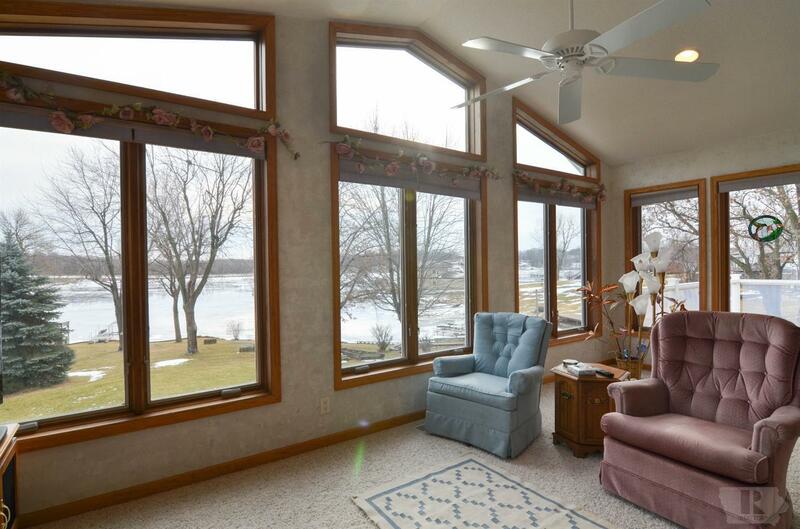 Views the lake are had in almost every room of the 4,000+ sq ft finished space. 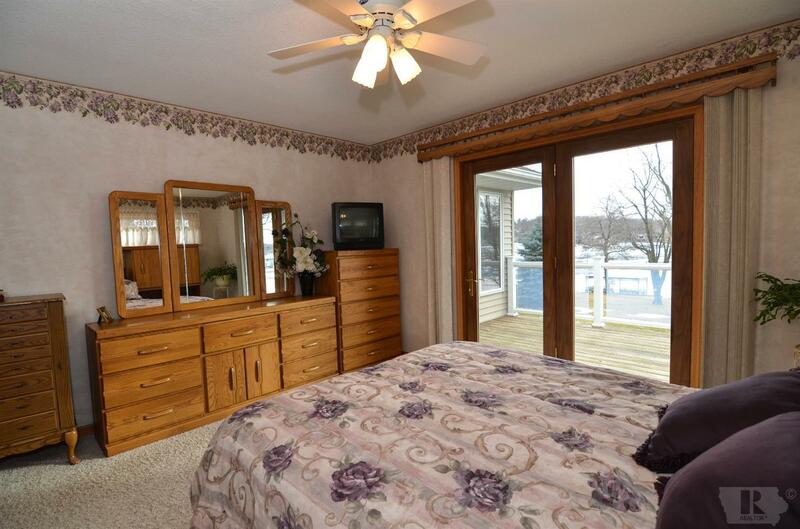 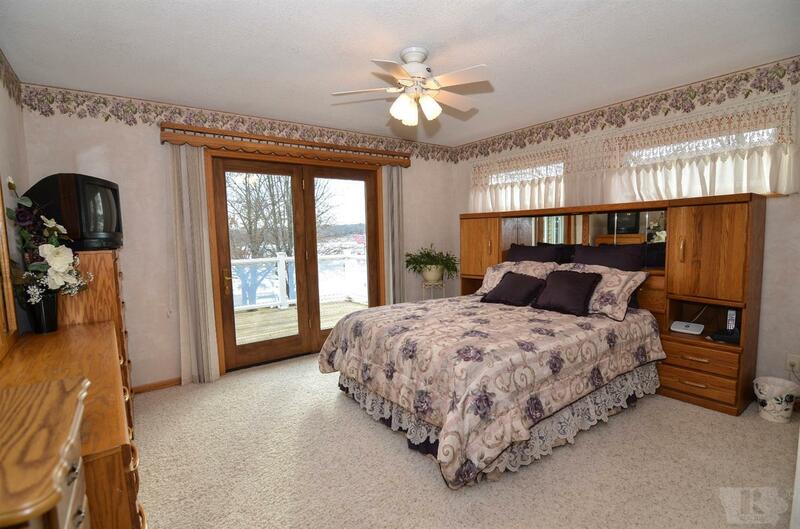 The master suite includes walk-in closet, private deck, and views of the lake. 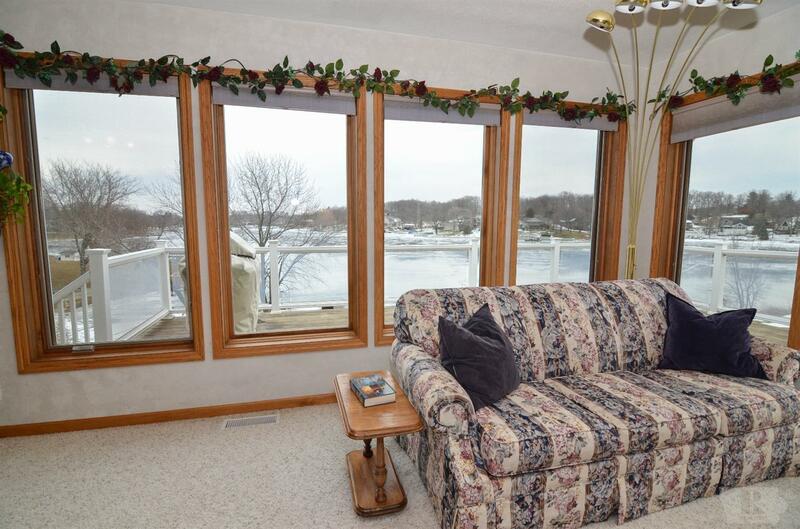 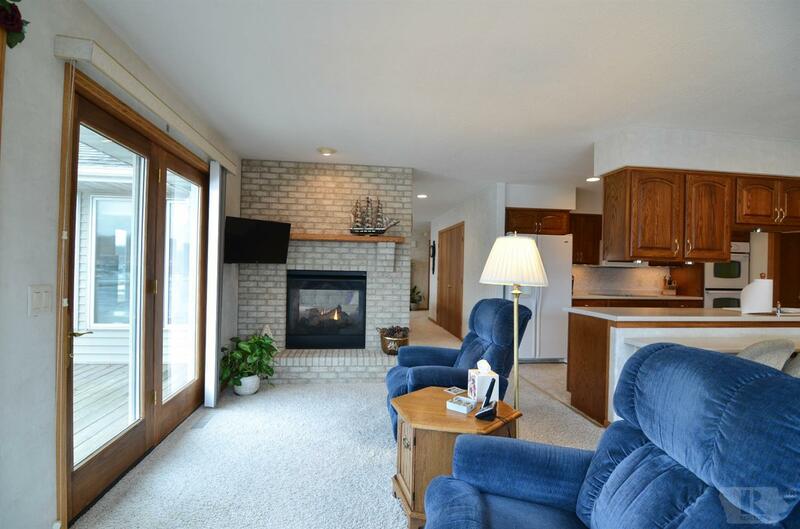 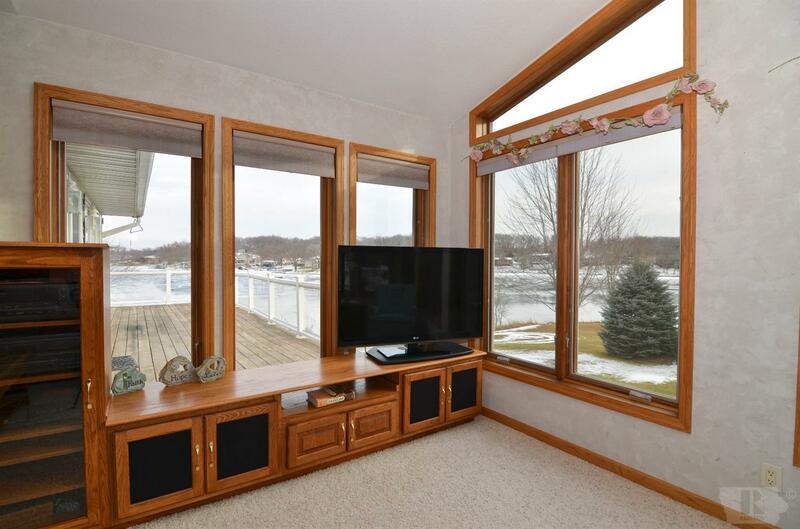 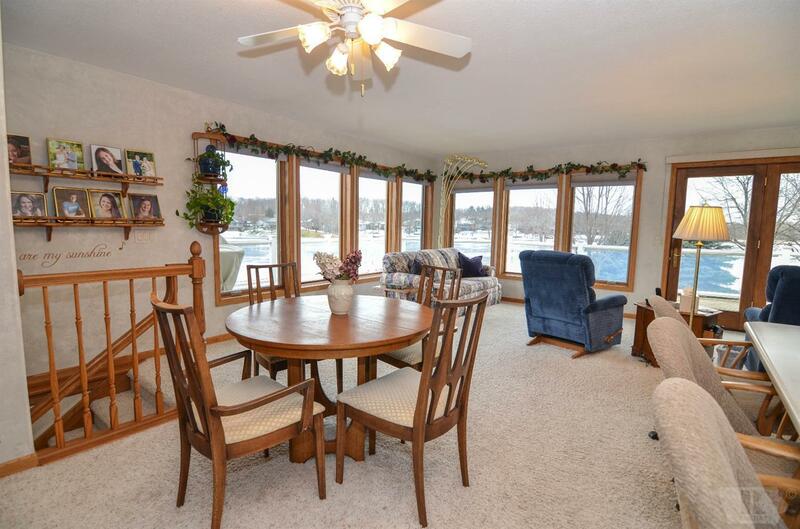 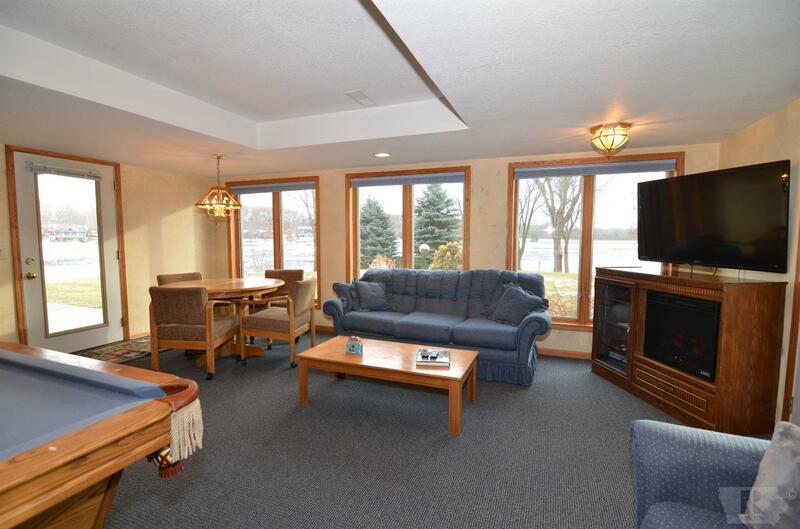 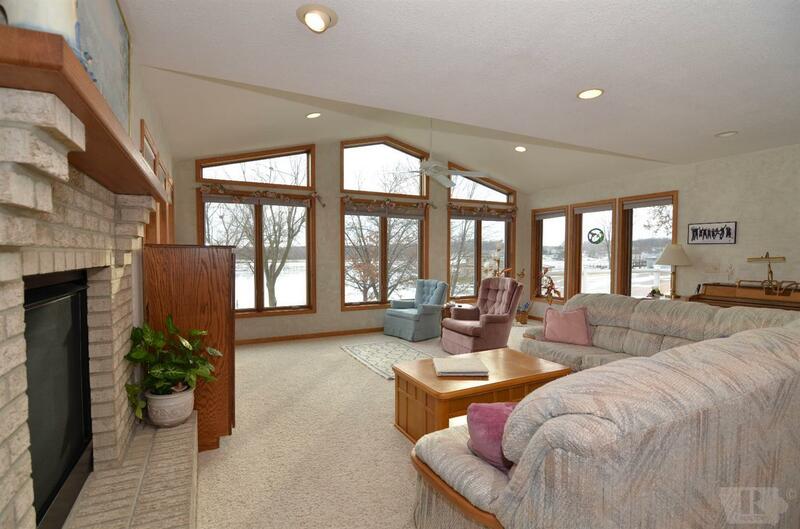 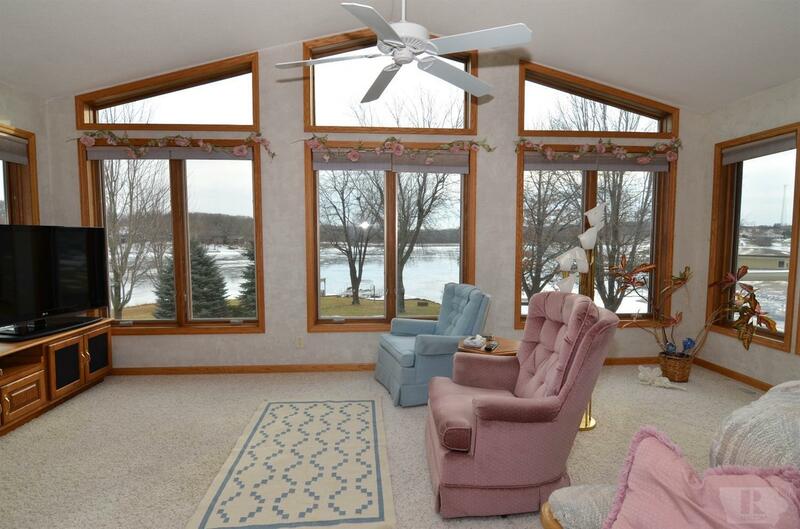 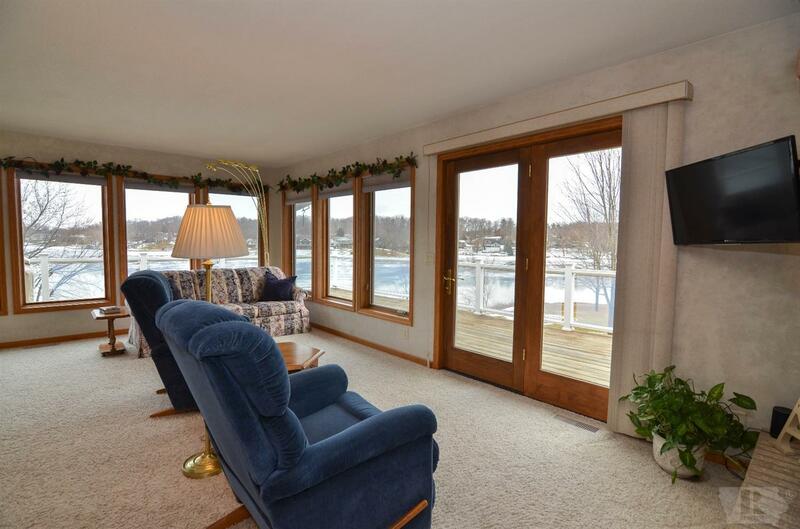 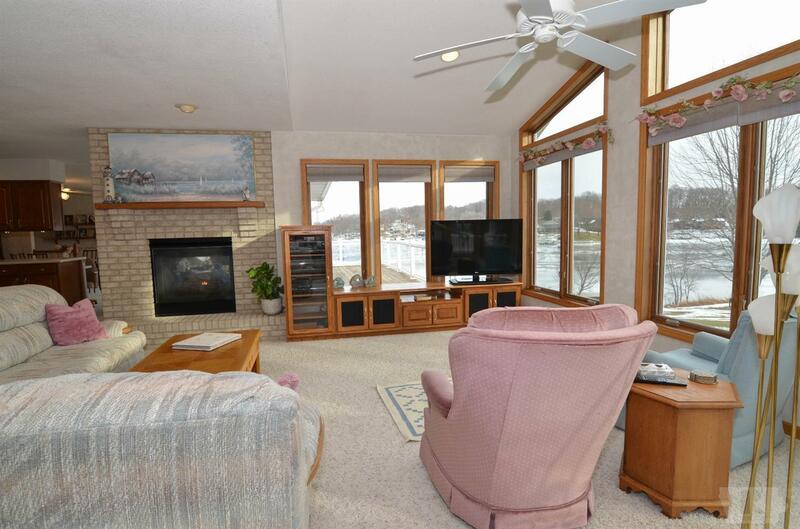 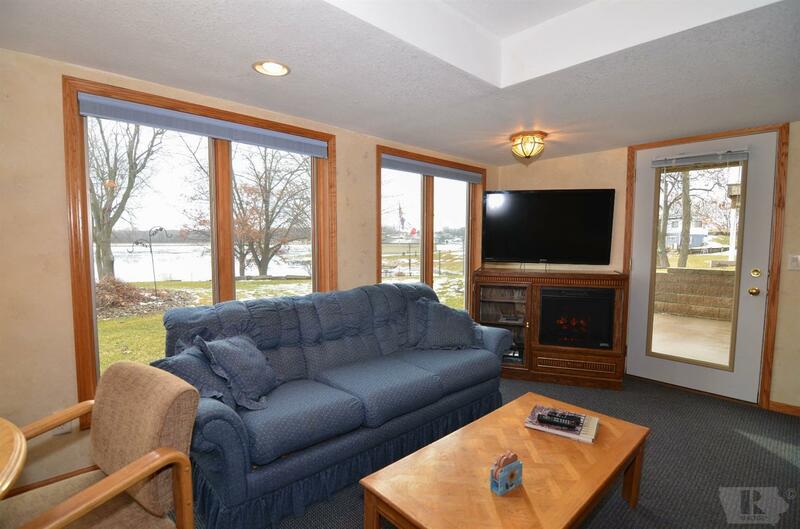 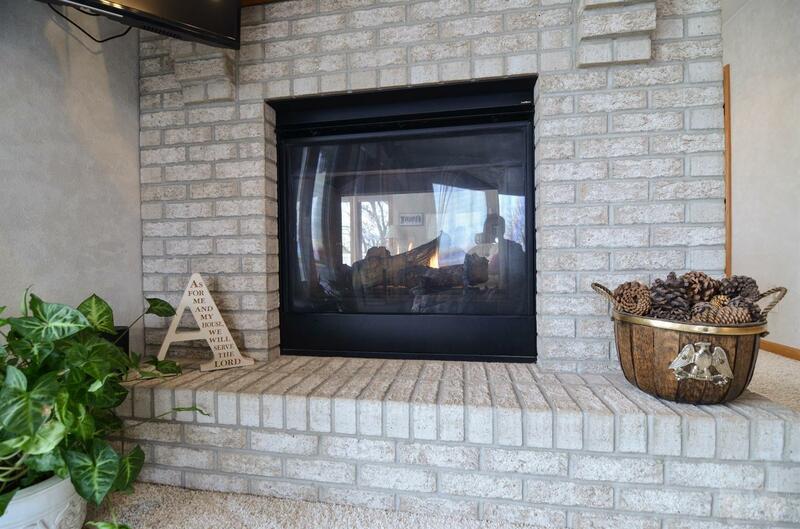 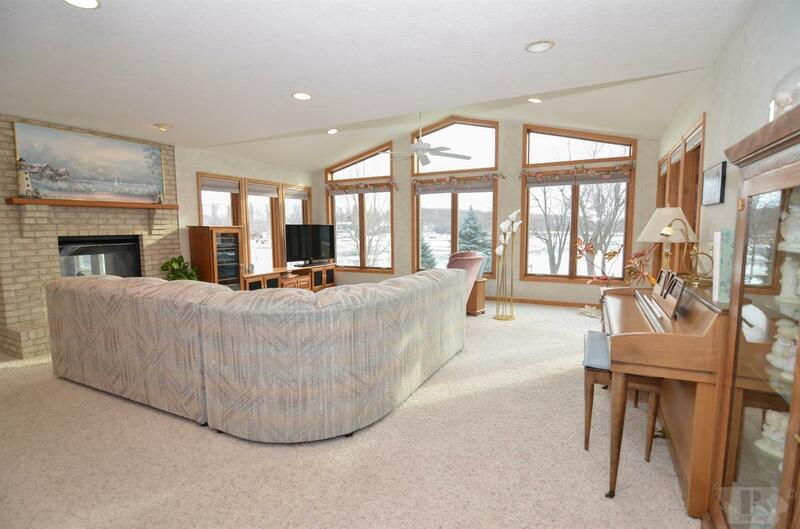 The great room has spectacular views of the water, vaulted ceilings, and a see-through brick gas fireplace. 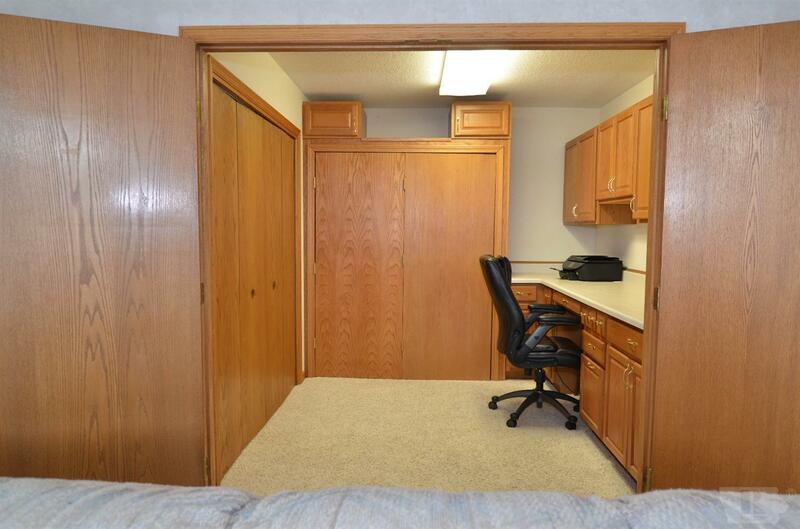 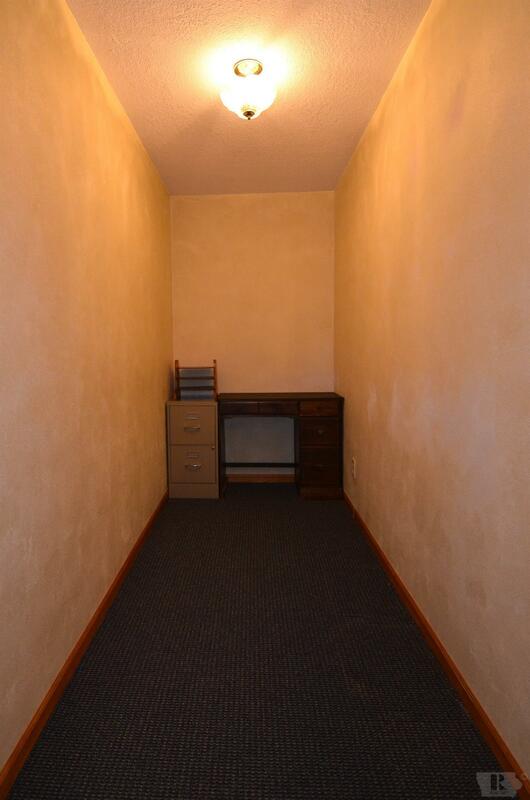 Adjacent is an office/craft room perfect for work or hobbies. 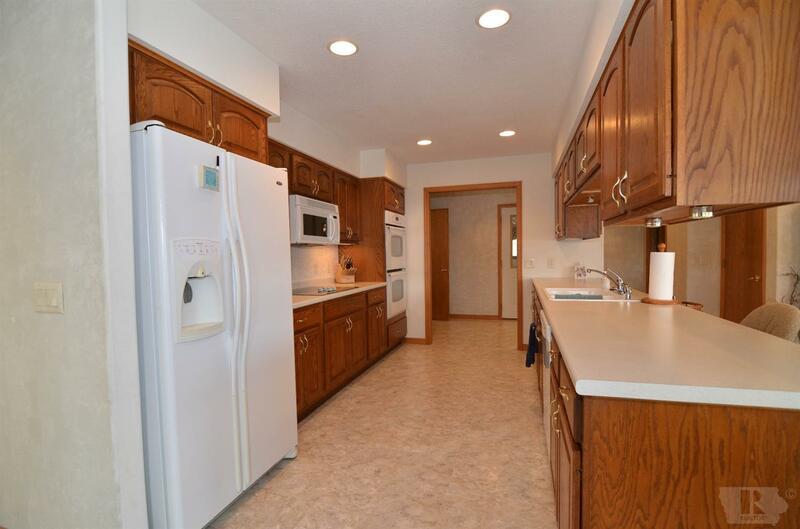 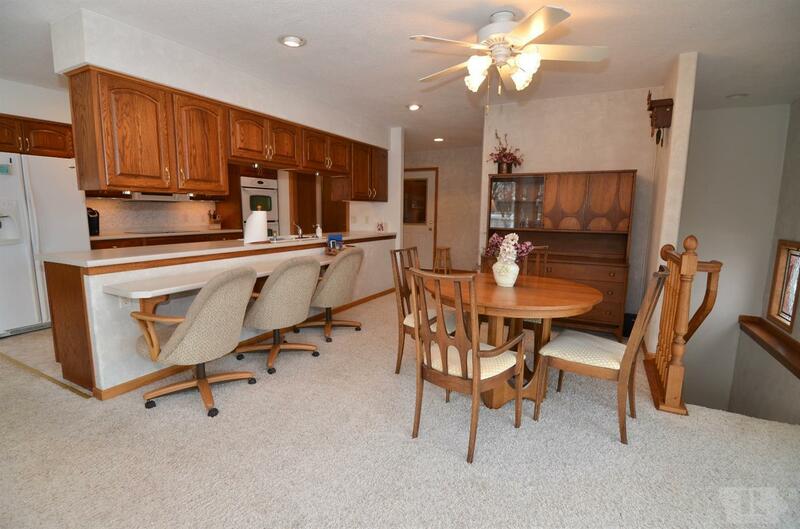 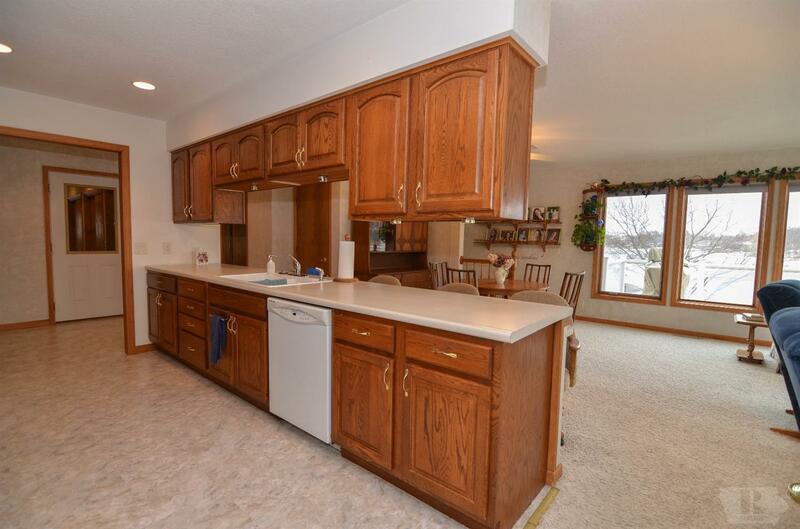 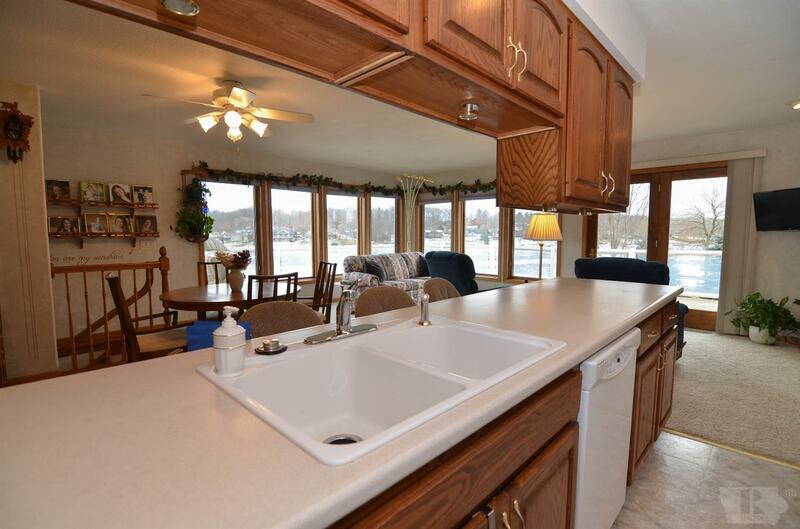 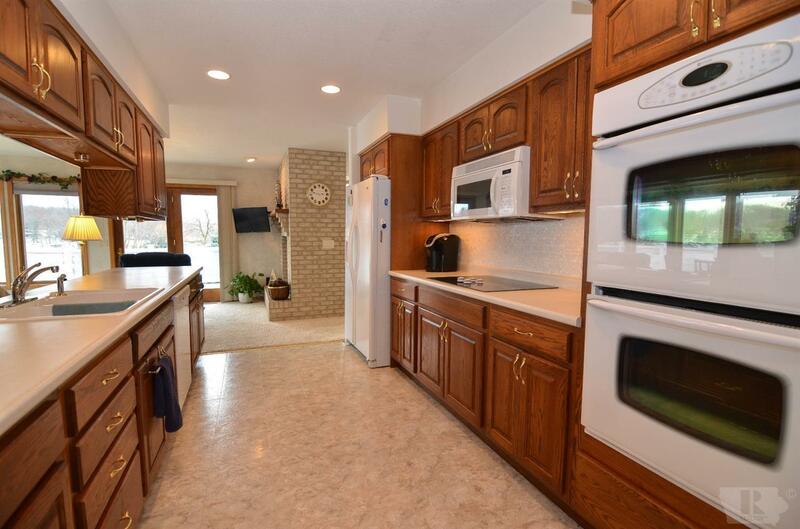 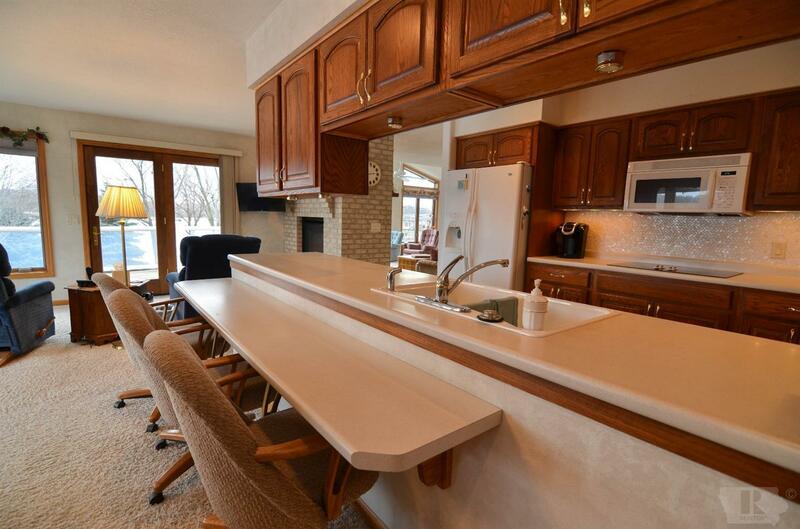 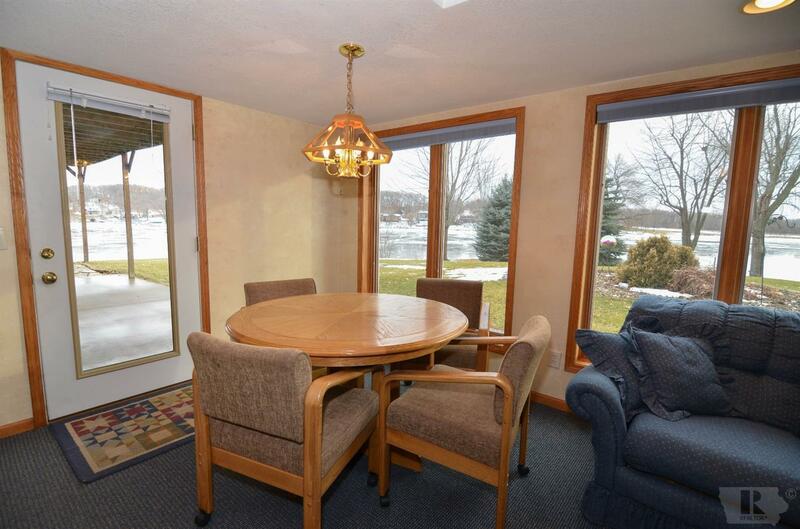 The kitchen has ample cabinet space open to a dining area and seating facing the lake. 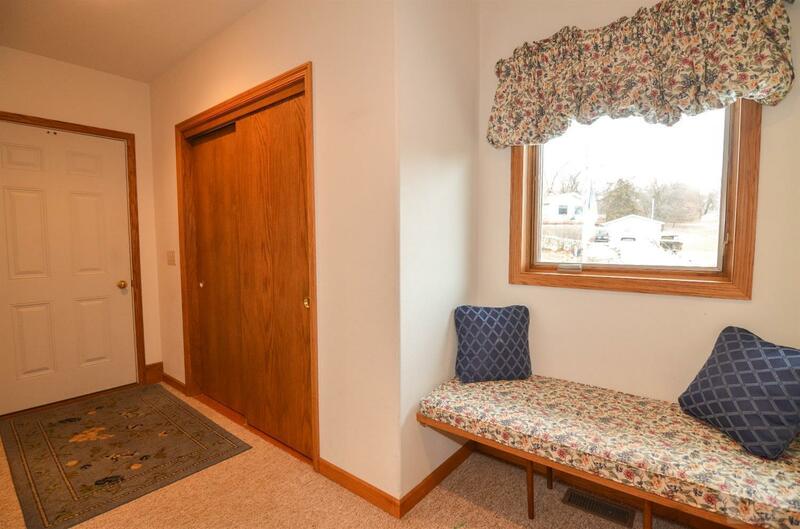 The mud room and storage area connects the house to the garage forming a courtyard entrance to the home. 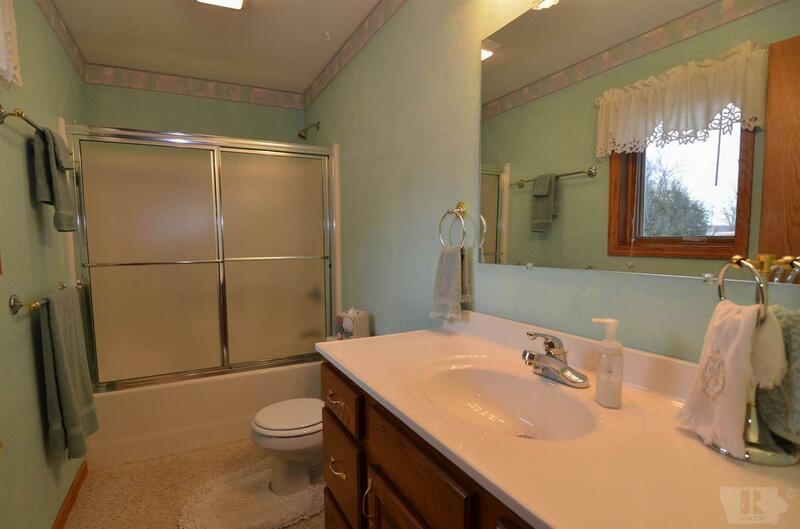 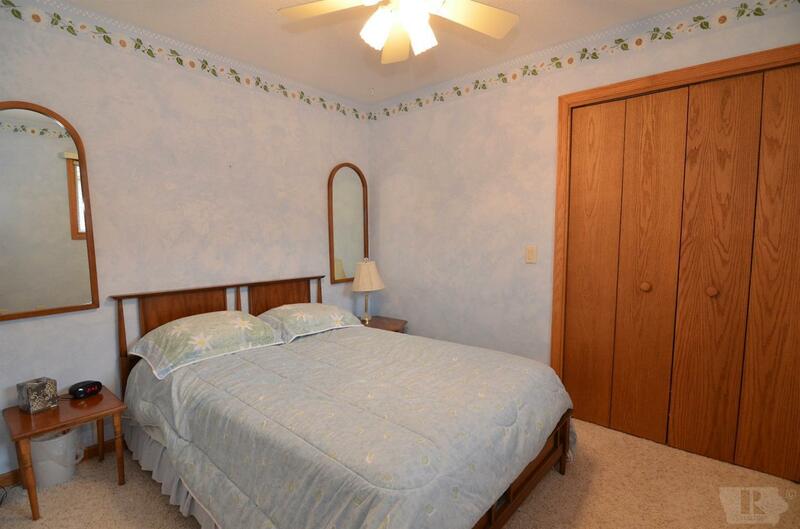 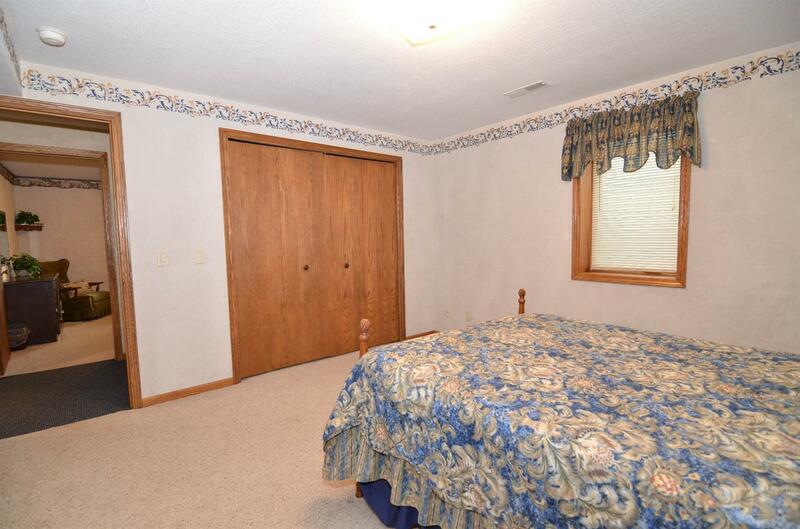 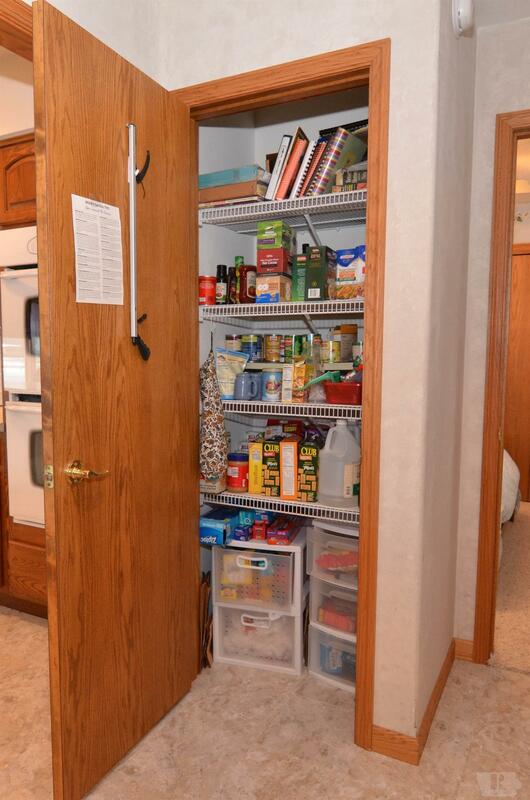 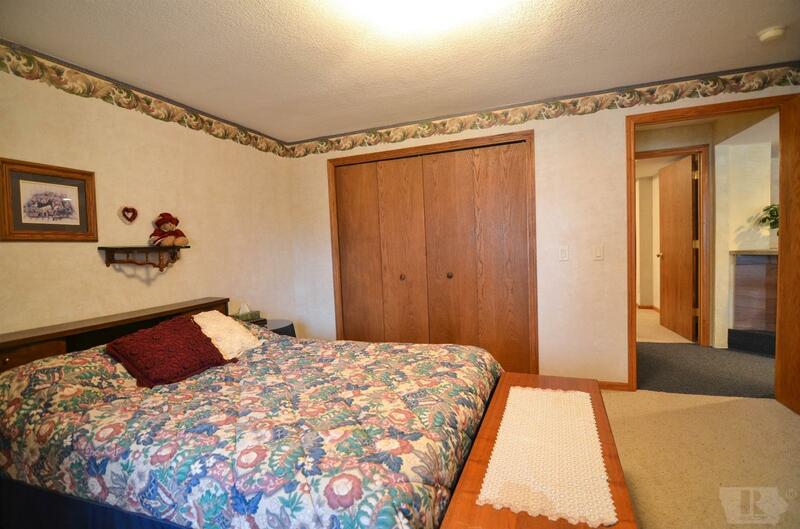 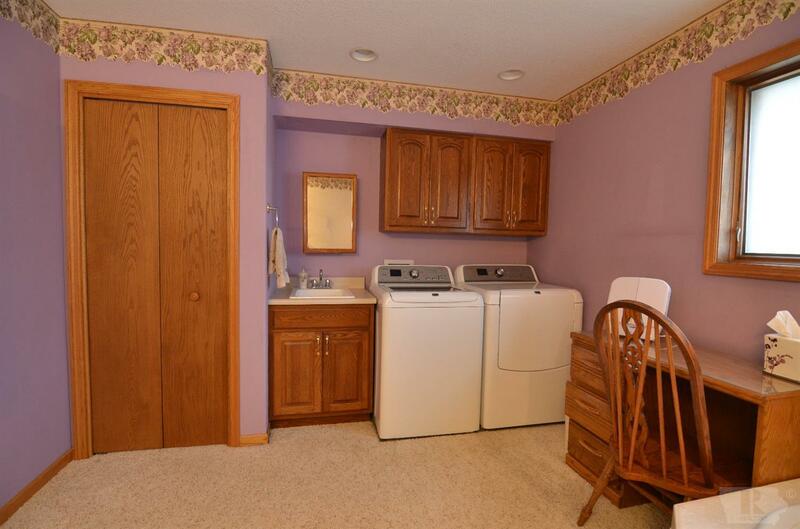 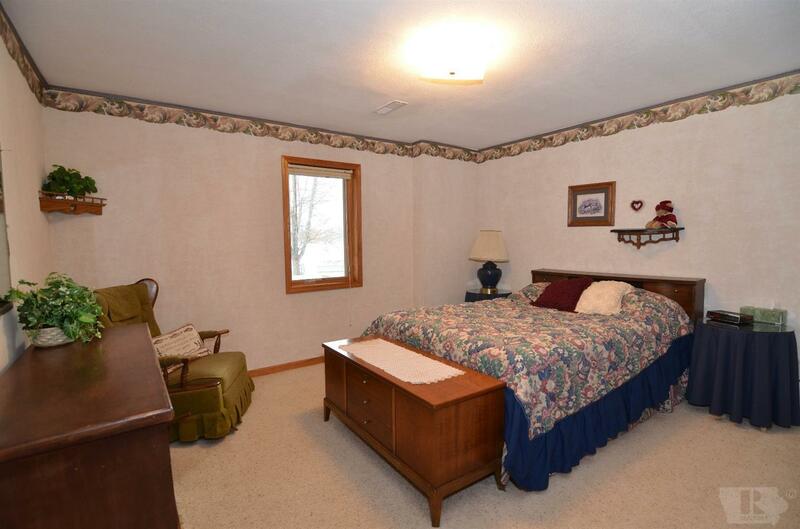 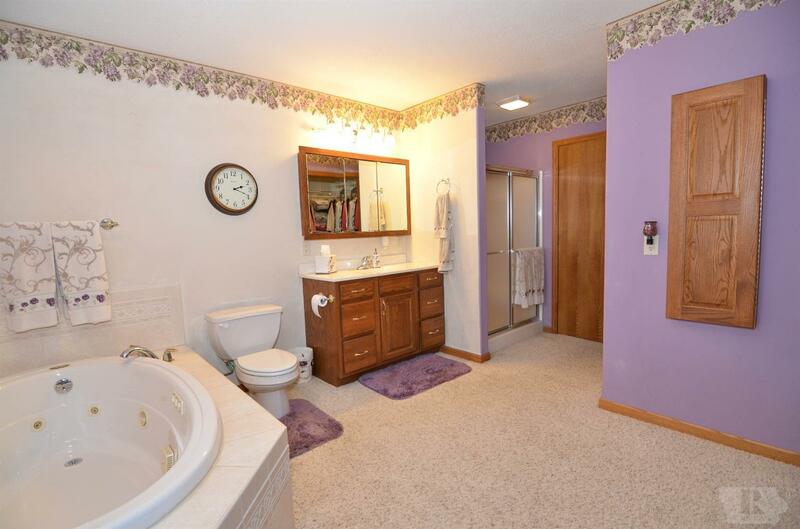 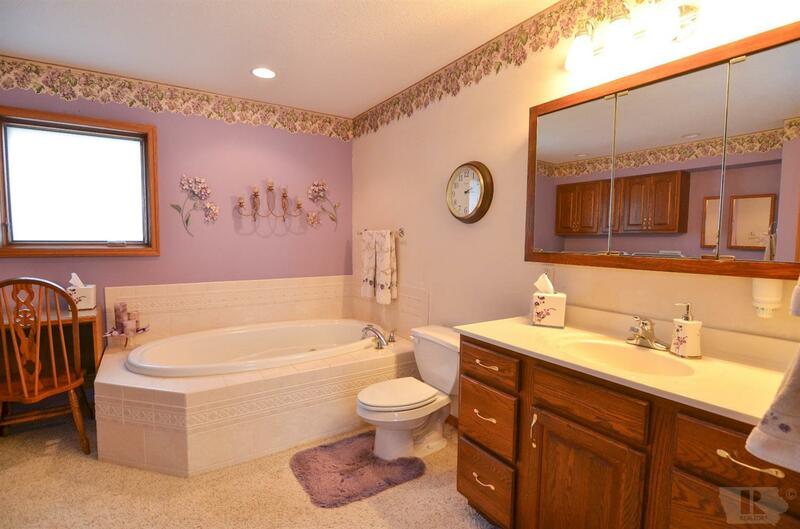 Also on the main level a pantry, second full bath and second bedroom. 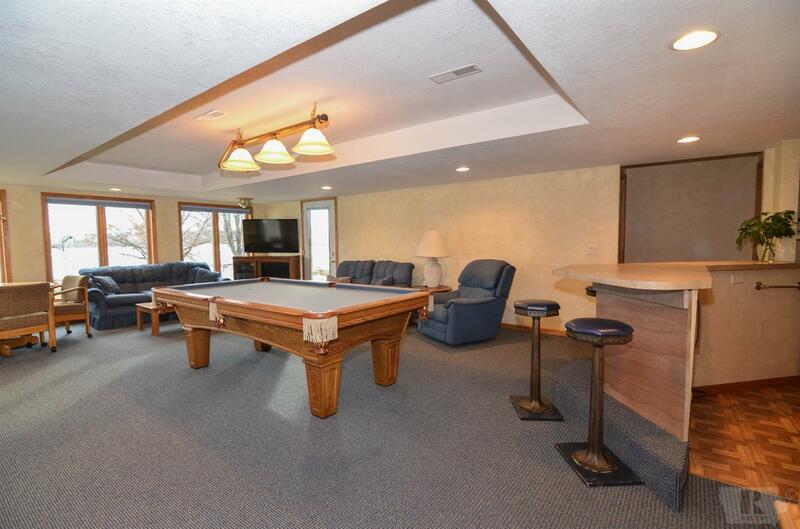 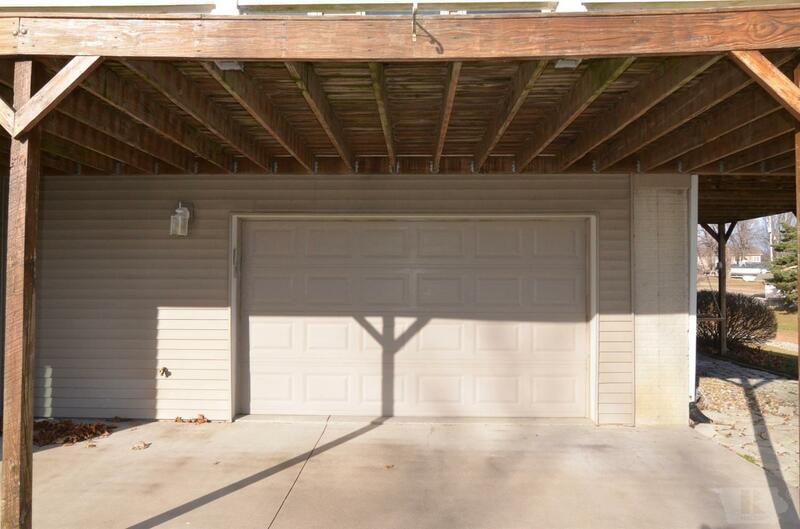 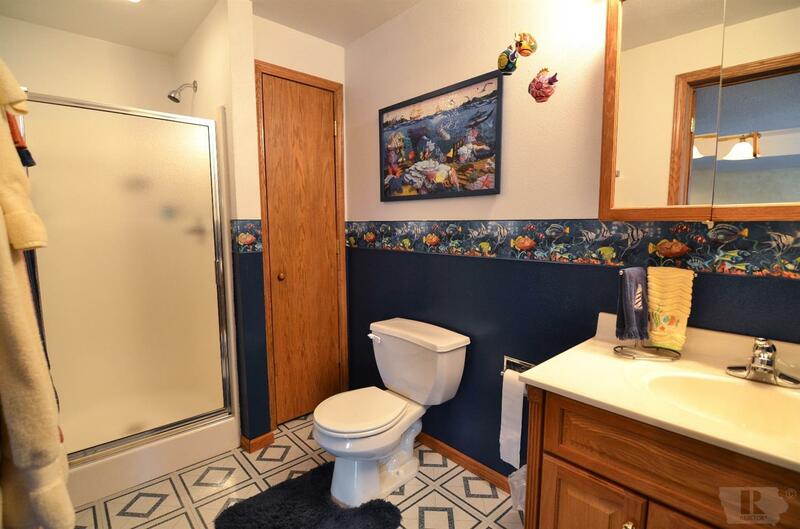 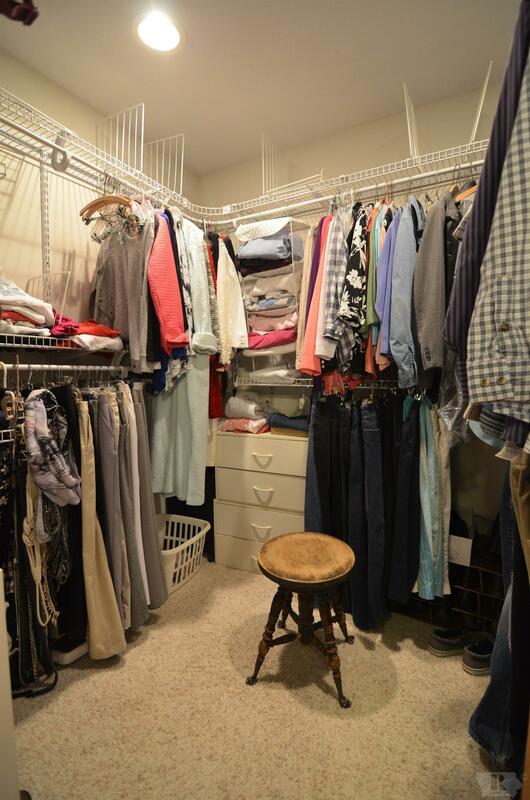 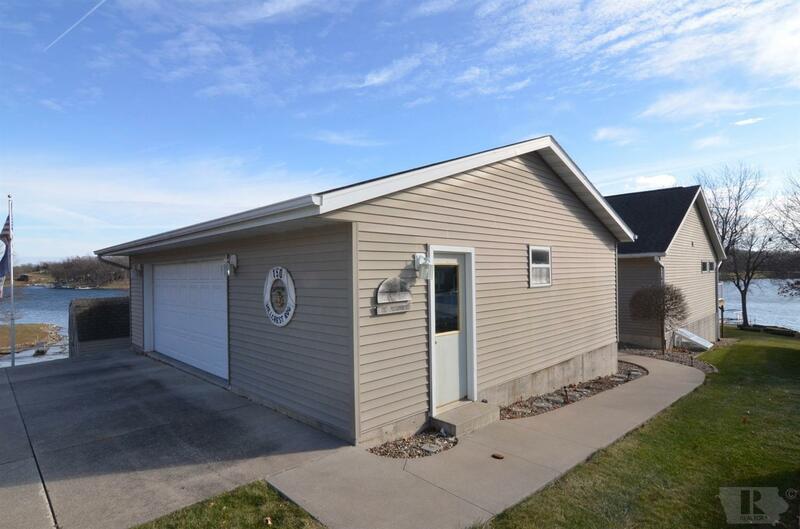 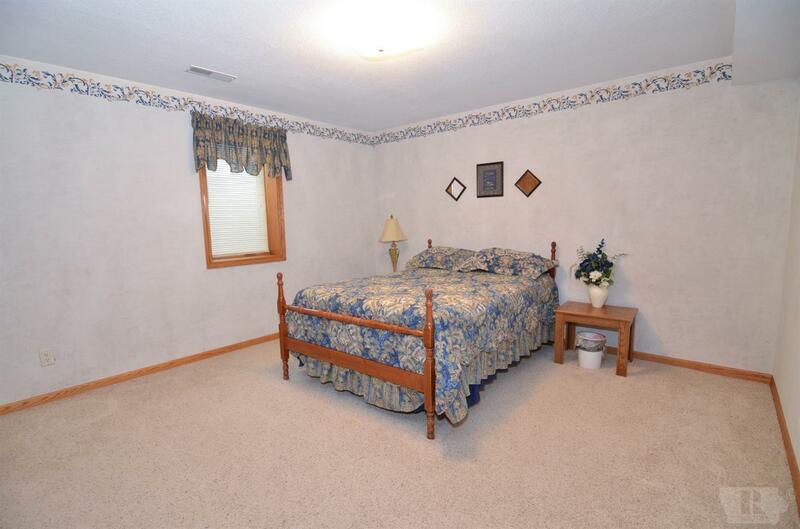 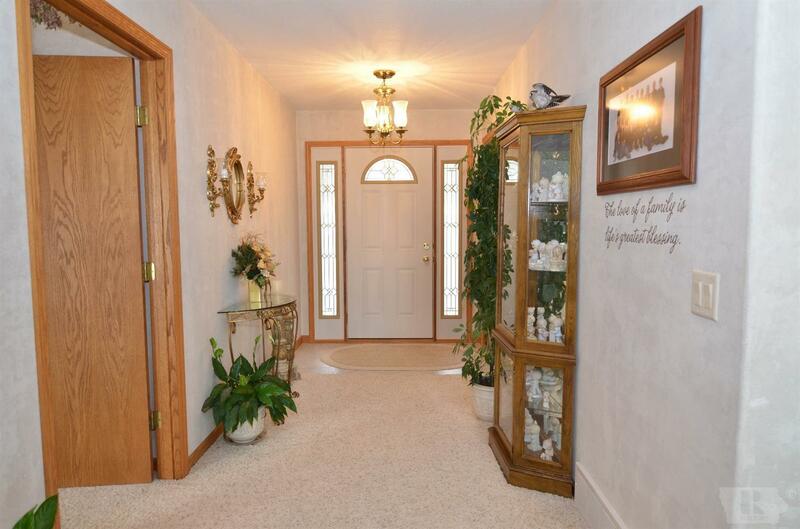 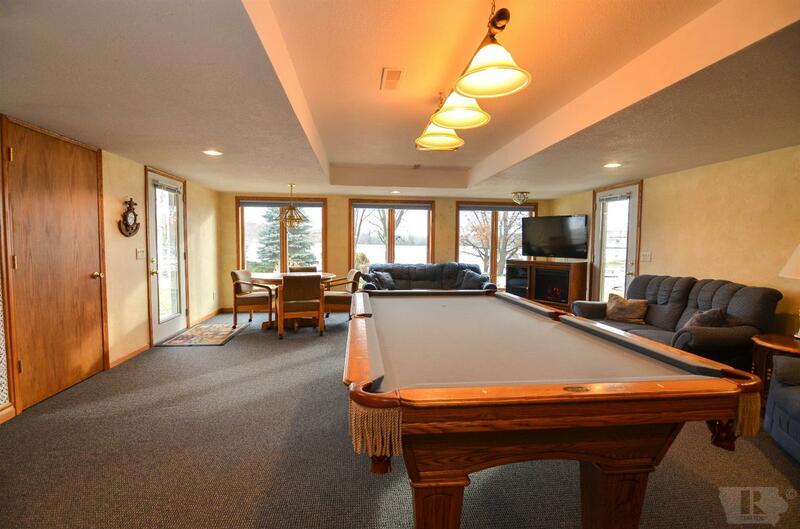 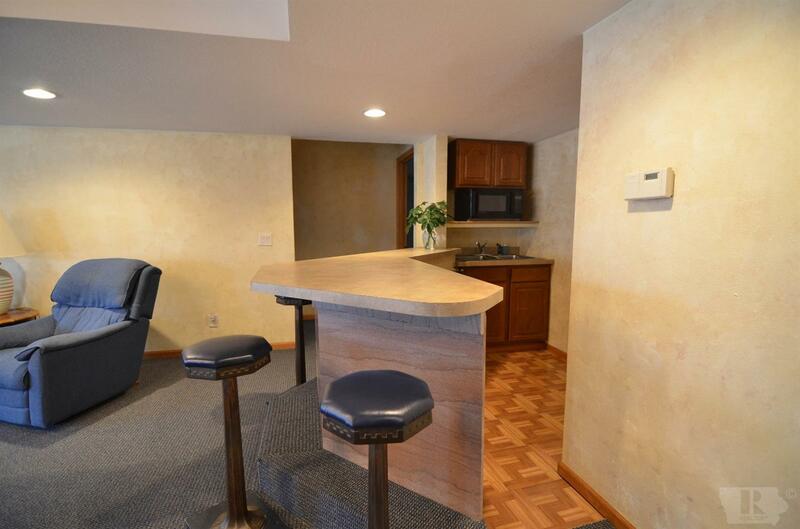 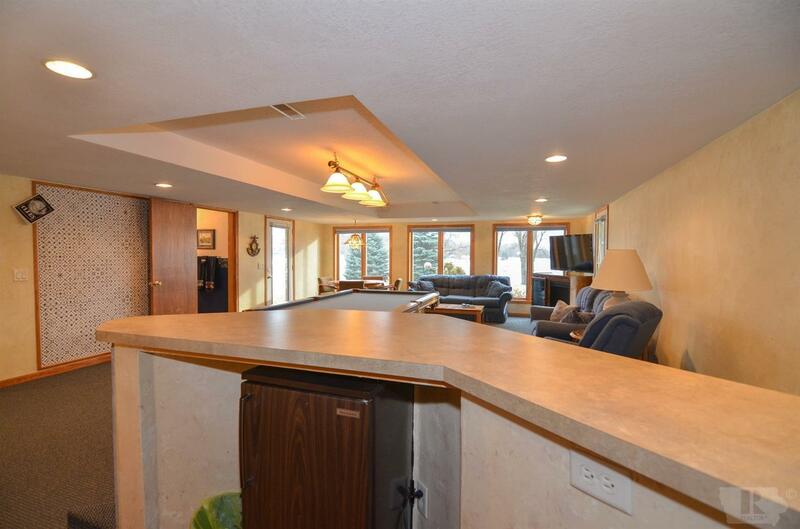 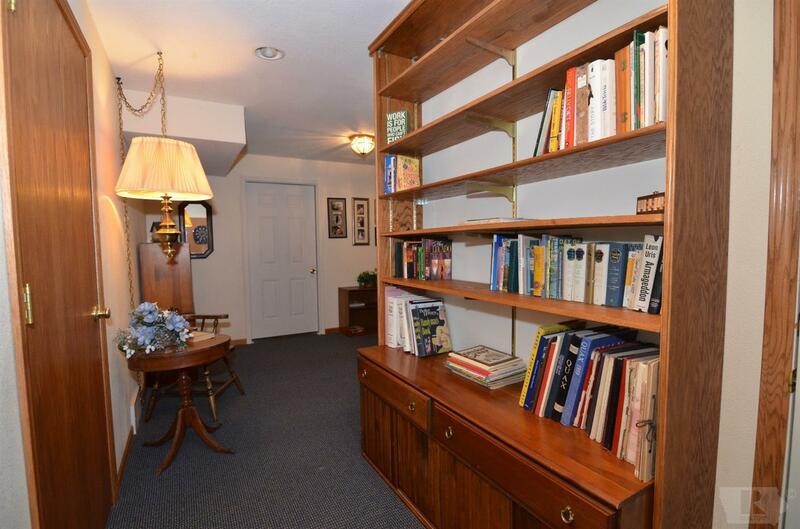 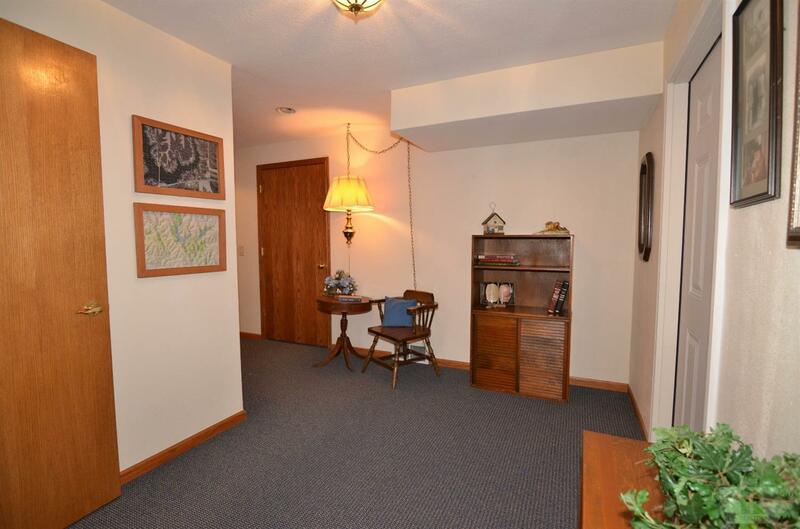 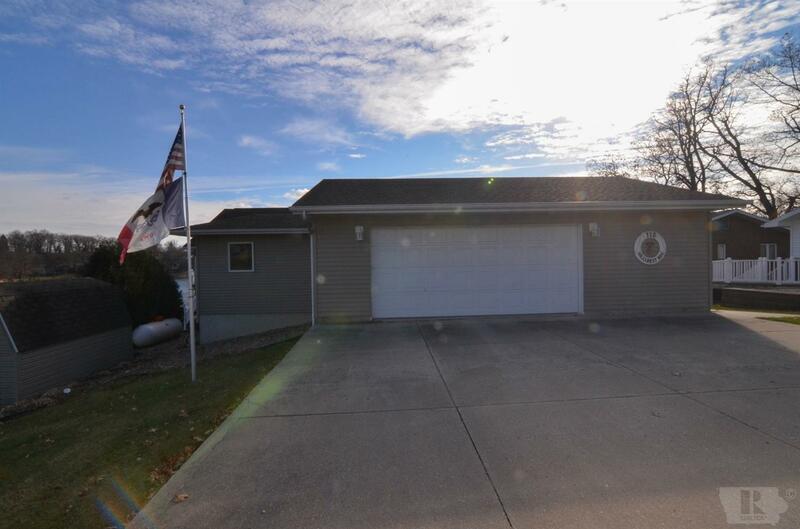 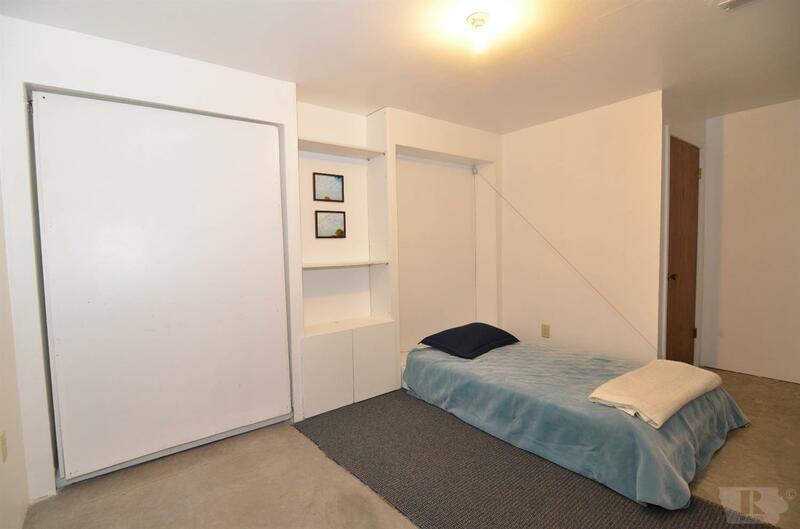 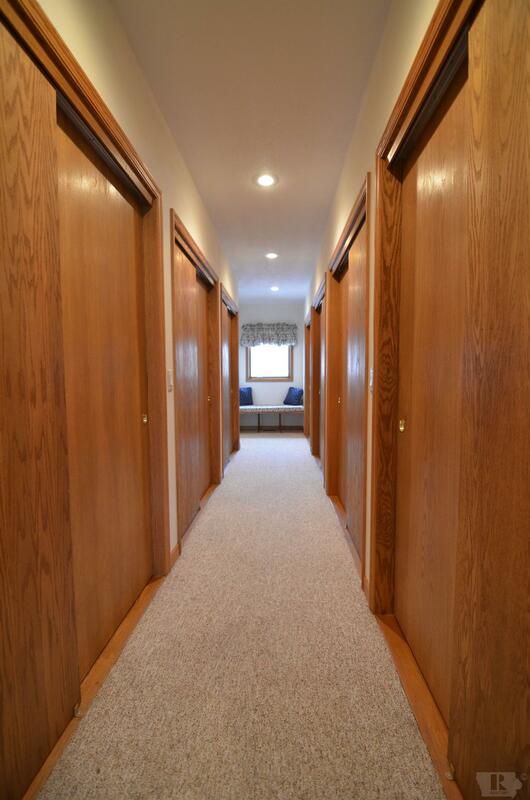 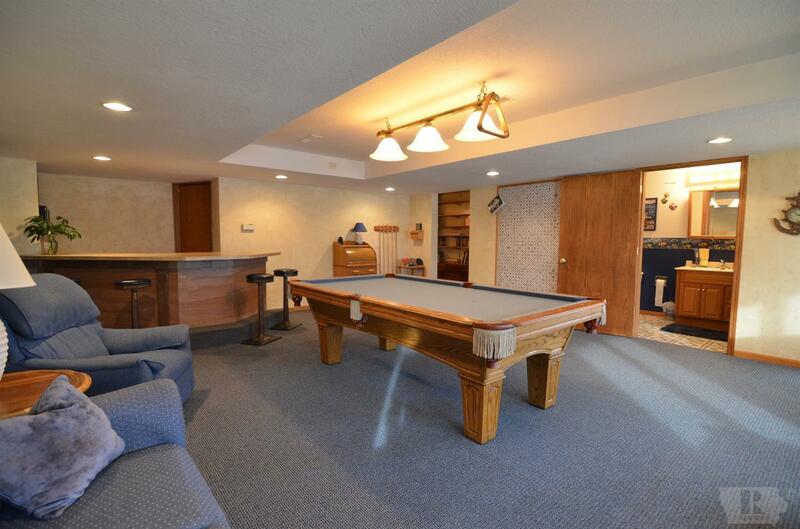 A finished walkout basement features a huge family room, 3/4 bath, wet bar, and two bedrooms. 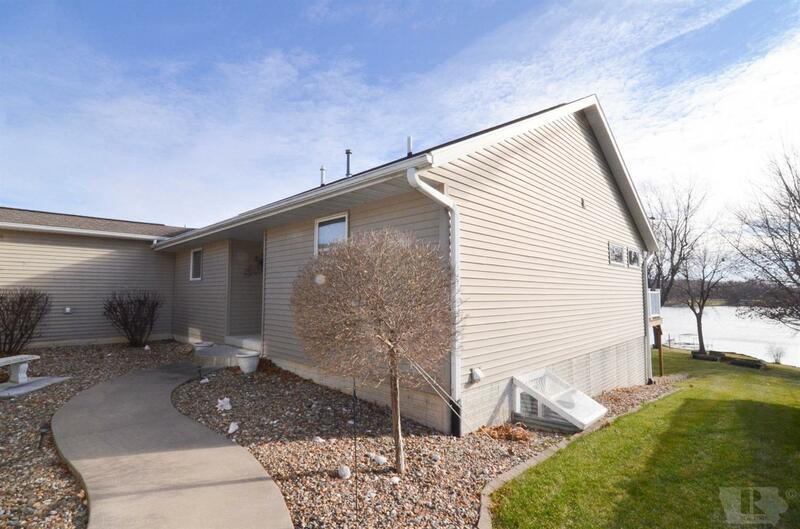 Other amenities are 3+ garage spaces, additional sleeping, zoned heat, extra wide hallways, decks, patio, & no step entrance.